Students gathered this morning at Discovery High School to host their second luncheon featuring all organic, home-grown foods. 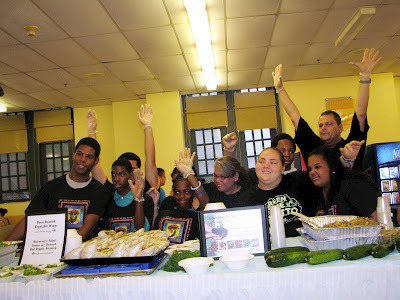 "We grew the food in our garden," explained Danielle Barnes, a student at Discovery. Samantha Serrano, also a student, elaborated: "We had two gardens. 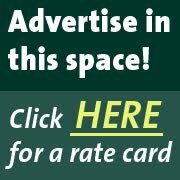 We took surveys from the last lunch and what they liked, we repeated." 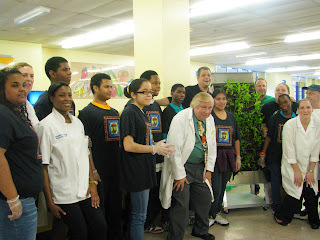 The project began when Steven Ritz, a science teacher at Discovery High, used gardening as a way to prepare his students for the Living Environments Regent exam. 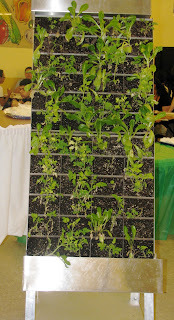 The class' various gardens and green walls grew into much more than a lesson. They yielded enough crops to stock two luncheons, each feeding 450 people. 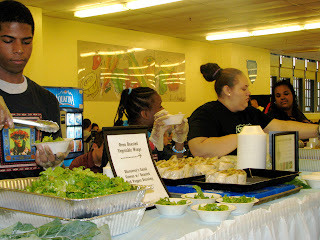 The lunches also provided an opportunity for students to eat healthy. 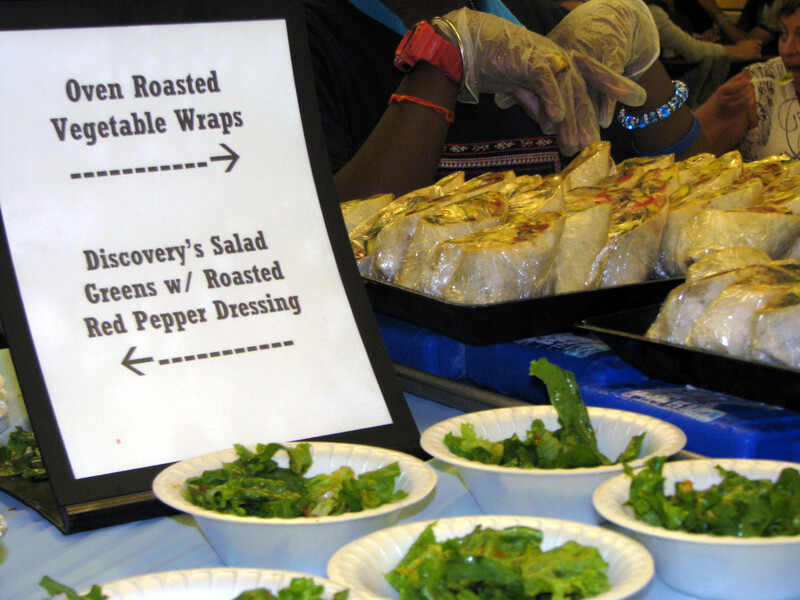 "I never thought anything so healthy could be so good," said Christopher Nova, a student at Discovery. "The school usually serves pizza, but this is pretty good." Explained Jason Concepcion, an aid at Discovery: "These kids need to see the side other than junk food. Even if they don't like it, they can at least say they tried it." The meal was prepared by the cafeteria staff this morning. The students who grew the vegetables served pesto pasta, salad with red pepper dressing, cole slaw, collard greens, and vegetable wraps. The students will utilize these skills beyond the Bronx. They were recently hired by the Town of Scarsdale to teach middle school students about green wall and green roof installation at living wage.